NTPC Notification 2018.NTPC Limited has released a notification for the recruitment of Energy Economist & Executive vacancies.Check the eligiblity and notification prior to apply for the positions. Maximum age for energy economist post is 47 years, executives is 37 years. Post graduation degree holders in Economics can apply for energy economist post. For executive posts the qualification is graduation in relevant field from a recognized university. For energy economist post the monthly pay is of Rs.3.0 lakhs. For remaining posts the monthly pay is in between Rs.1.46 lakhs to 1.24 lakhs. Through written test / interview test candidates will be recruited. 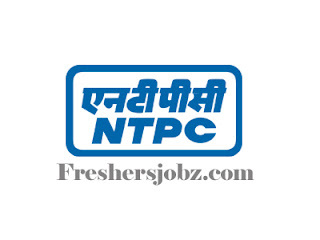 Mode of applying for NTPC recruitment is through online mode. By 16th October 2018 candidates can upload their details. Rs.300/- must paid as examination fee by the participants. http://open.ntpccareers.net/201809EnSAPDev/index.php is the link for applicants to apply directly.